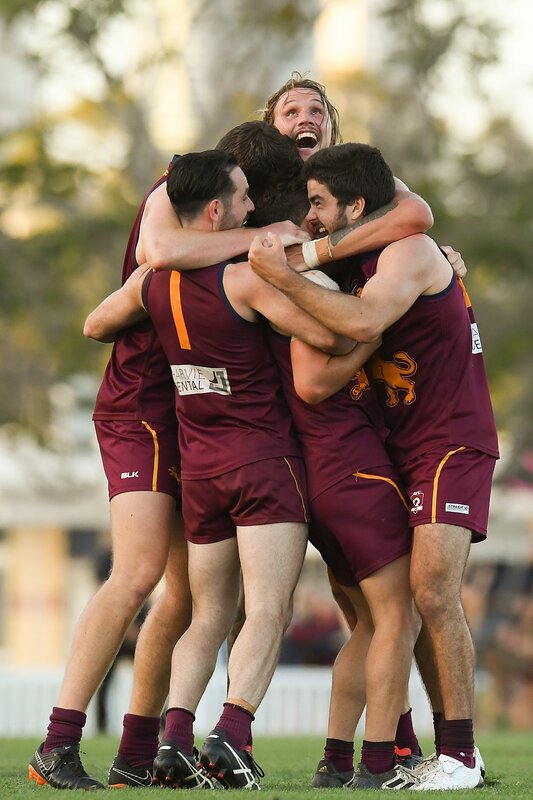 Building up to the 2017 QAFL Grand Final, the confidence level at the Lion’s Den was high after knocking off the previously undefeated Labrador in the 2nd Semi Final. 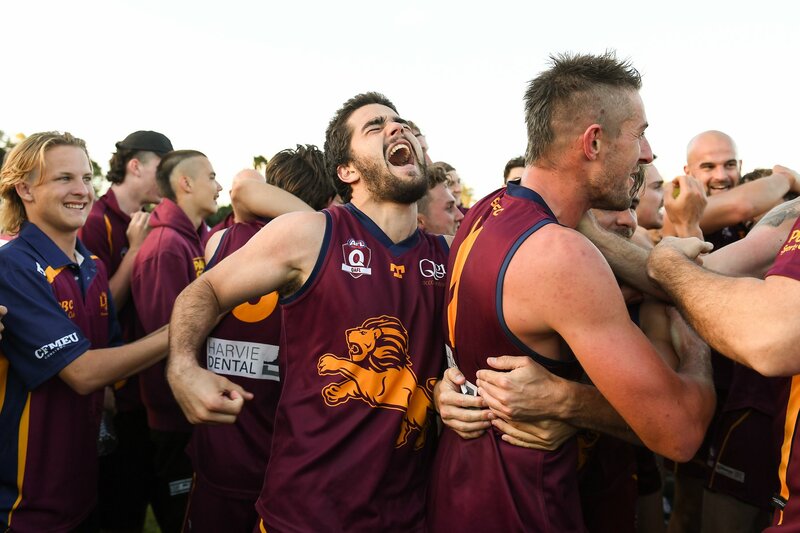 The Lions had exposed the chinks in the Tigers’ armour and despite the worry that they make have given the Tigers a wake up call, they had worked out how to beat the 2015/2016 Premiers. 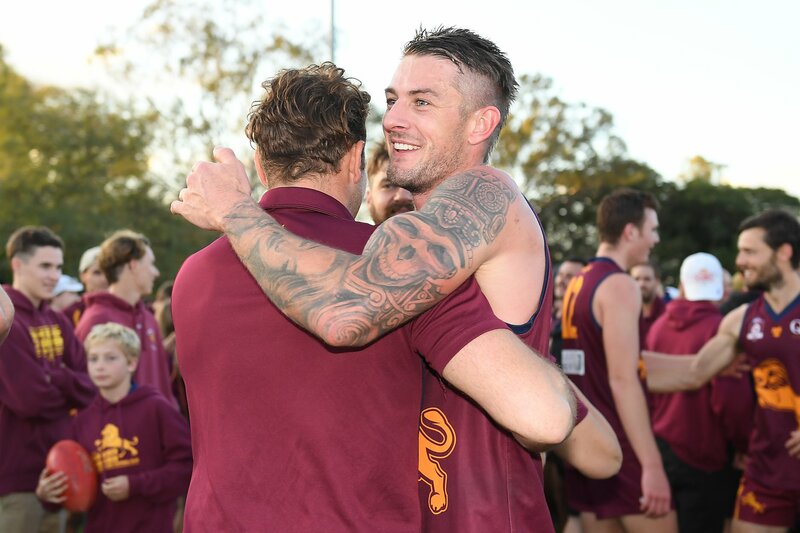 The week off worked well for the Lions with a number of guys benefiting from the extra rest and recovery time and come Grand Final Day they were pumped up and ready to roll. 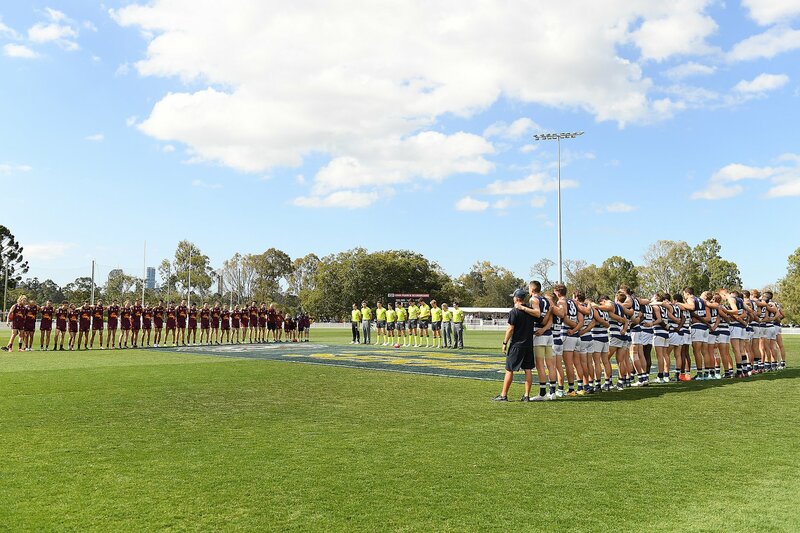 Southport’s Fankhauser Oval was looking a treat on Grand Final Day and a great crowd gathered in anticipation of a quality Grand Final. 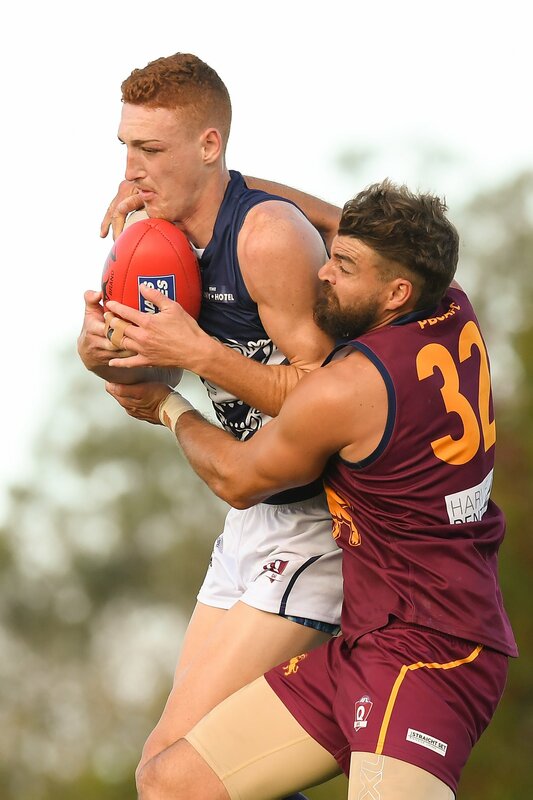 From the first bounce though it looked a continuation of the Semi Final clash with PBC’s midfielders and runners applying plenty of pressure and working the ball up with relative ease into the strong wind. 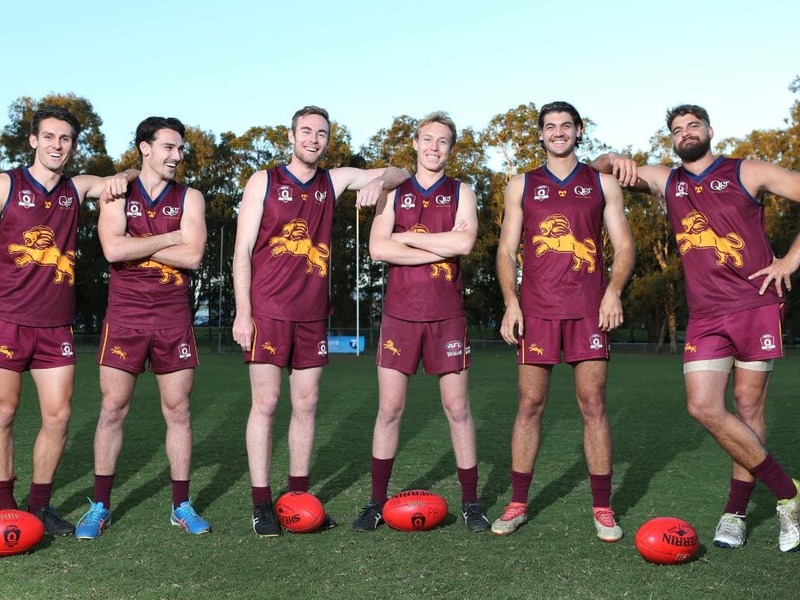 The Lions were all over their Labrador opponents in defence and once again were able to deny the tall Labrador forwards any easy possession. 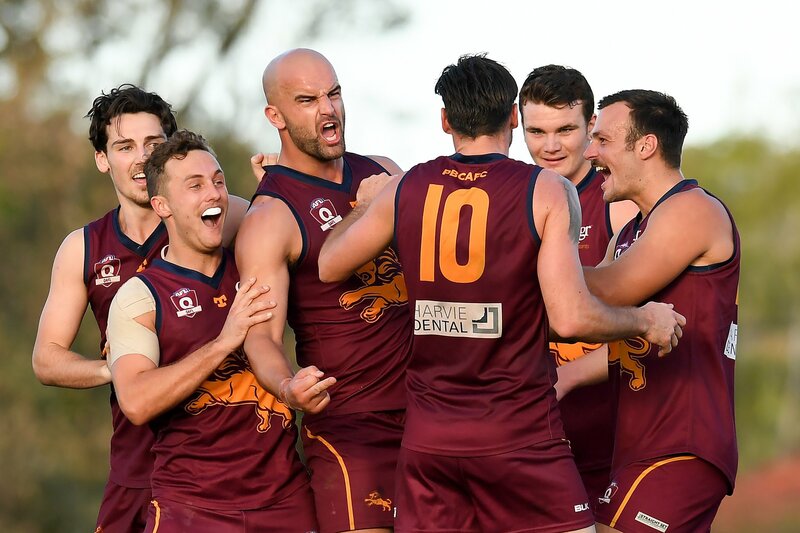 The first goal to Tyler Cornish was a morale booster for the Lions and they dominated the first quarter. Dylan Troutman and Josh Woolley combining super run and carry with outstanding ball use. 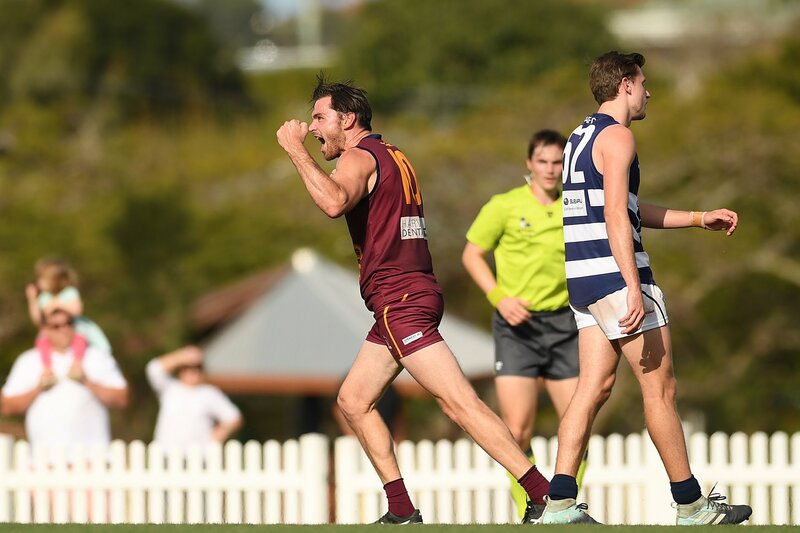 With PBC scoring 4.5 into the breeze and Labrador 0.2, the Lions held a healthy advantage of 27 points knowing they would run with the breeze in the second quarter. 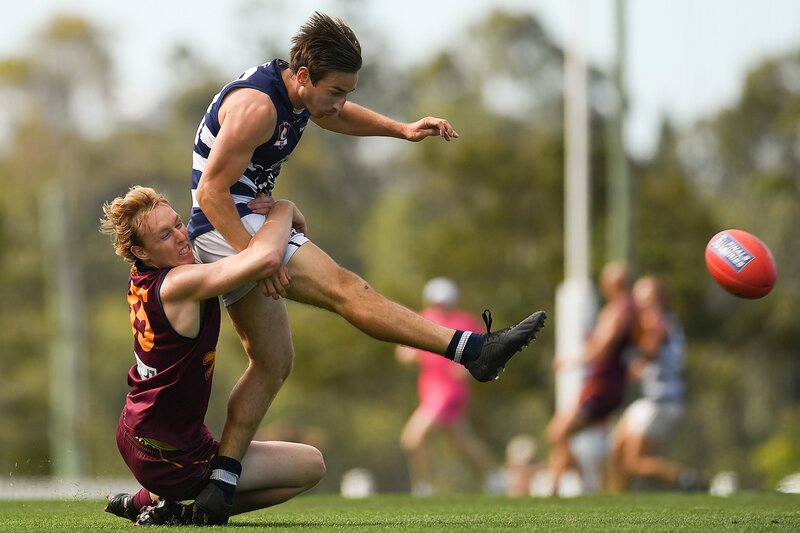 The second quarter saw the scoring slow down a little but it still the Lions pressing the advantage, pressure through the midfield again was key to limiting the Tigers opportunities and the Lions midfielders really started to get to work with Grogan Medallist Jason Burge and Jake Dignan getting plenty of the ball and starting to control the game. The Lions defence holding firm with outstanding contributions from Liam McNeven and Jackson Emblem. 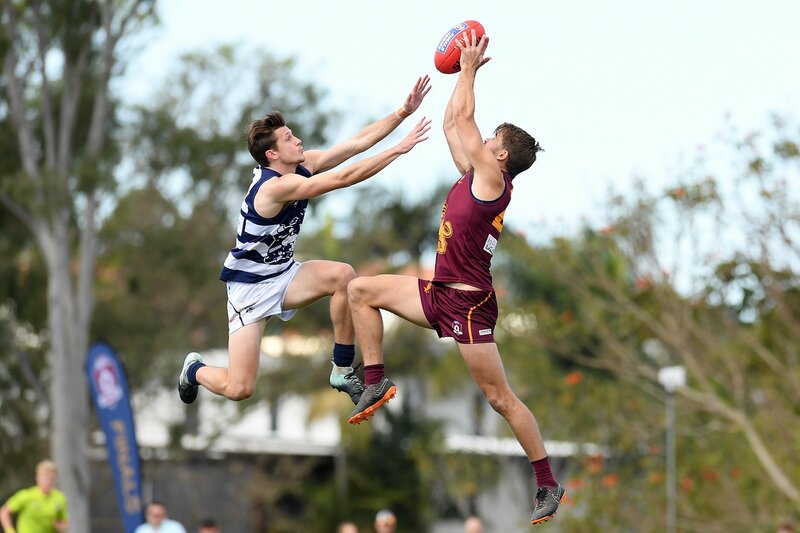 There was plenty of double checking of the scoreboard at halftime as the Tigers had been unable to score a goal in the first half, kicking 0.5. The Lions with 6.9 to the half and looking like winners. 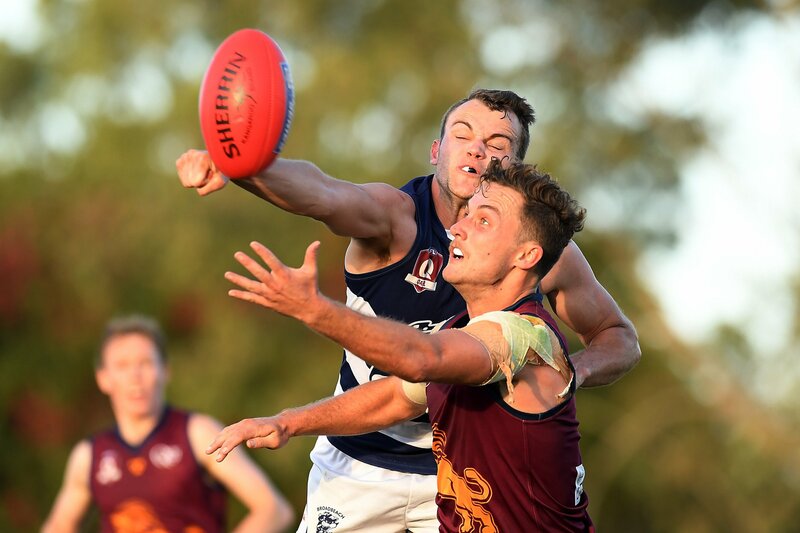 The second half got underway and there were some nervy moments early as Labrador used the breeze to great effect jagging the first three goals of the quarter. 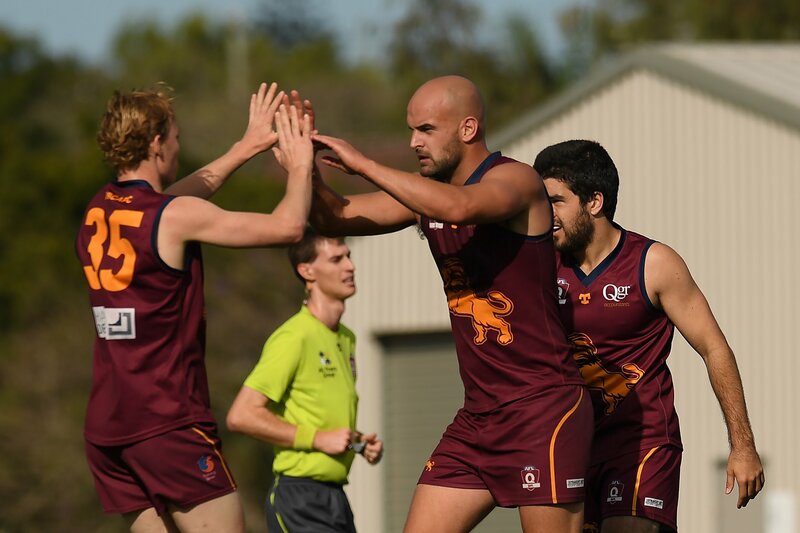 But the Lions settled and managed to get the momentum back with 3 goals for the quarter to the Tigers 5. The Lions taking a commanding 33 point lead into the final break. You could feel the anticipation and excitement in the Lions huddle at 3 quarter time. 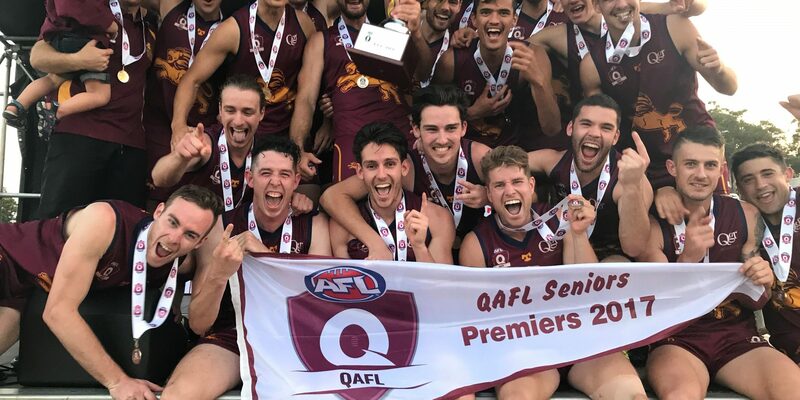 There was a genuine feeling that they could seal the win and bring home the club’s first Premiership in the QAFL since joining the newly reformed competition in 2014. 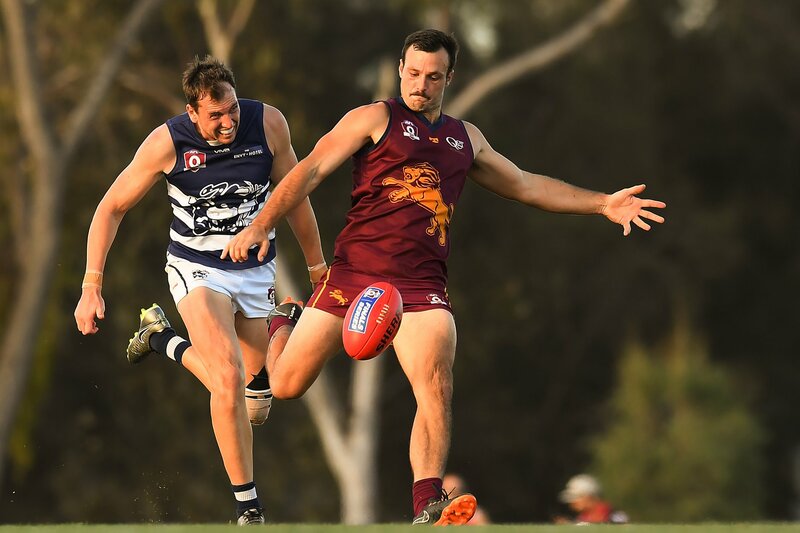 The first few moments again gave pause for concern as Labrador scored a goal within the first minute of the quarter. 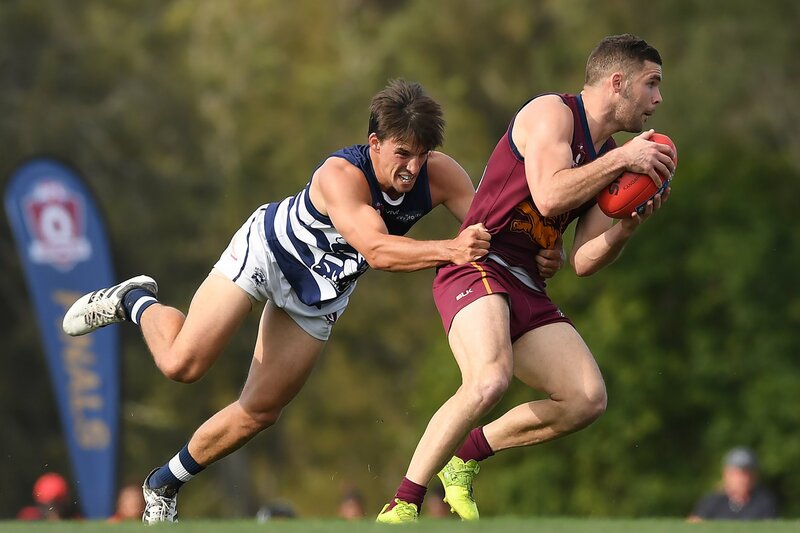 But it was short-lived, as the Lions regained control and held on before widening the margin late in the game to defeat the Tigers by 53 points. Coincidentally the exact same margin as the 2016 Grand Final. 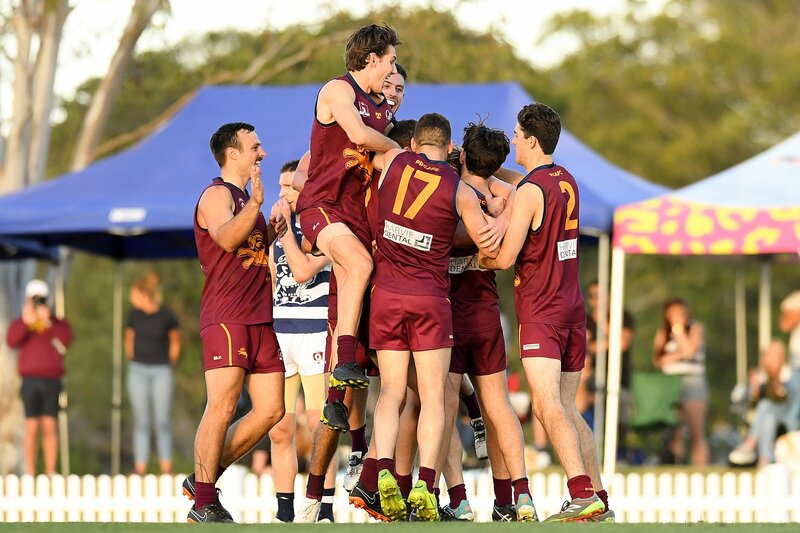 The Lions capping off a great year with the 2017 QAFL Premiership! 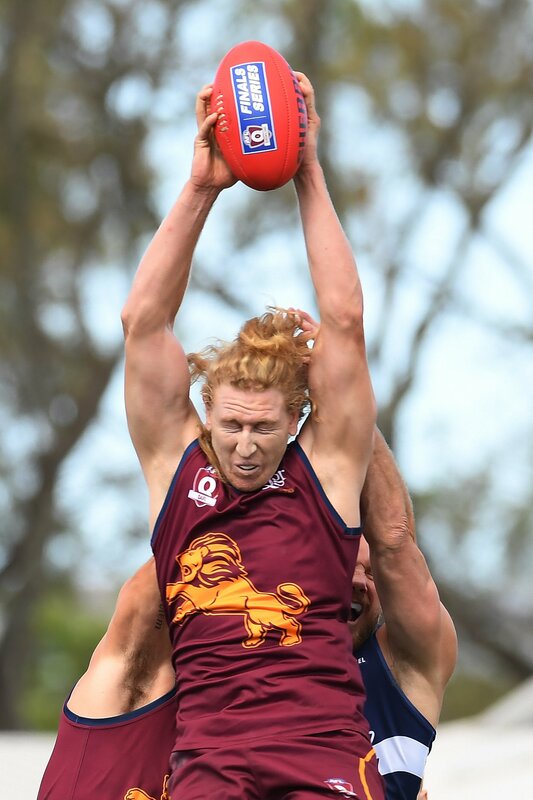 The Lions were well served by all but the most notable contributors were Jake Dignan (winning the Joe Grant Medal for best afield), Jason Burge, Jesse Derrick, Tom Thynne and Tyler Cornish through the midfield along with Liam McNeven, Dylan Troutman and Josh Woolley in defence. 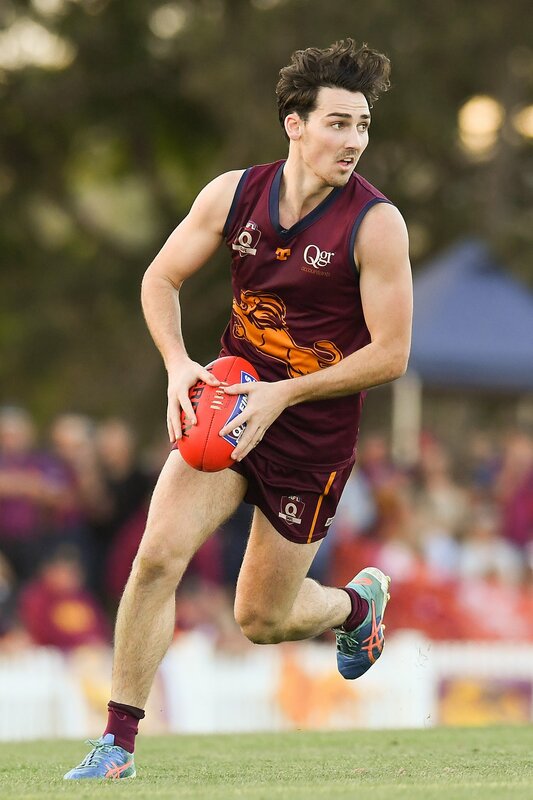 Teenager Caleb Graham was excellent through the ruck and in the forward line taking some fantastic marks and Brad McDonald was dangerous up forward. 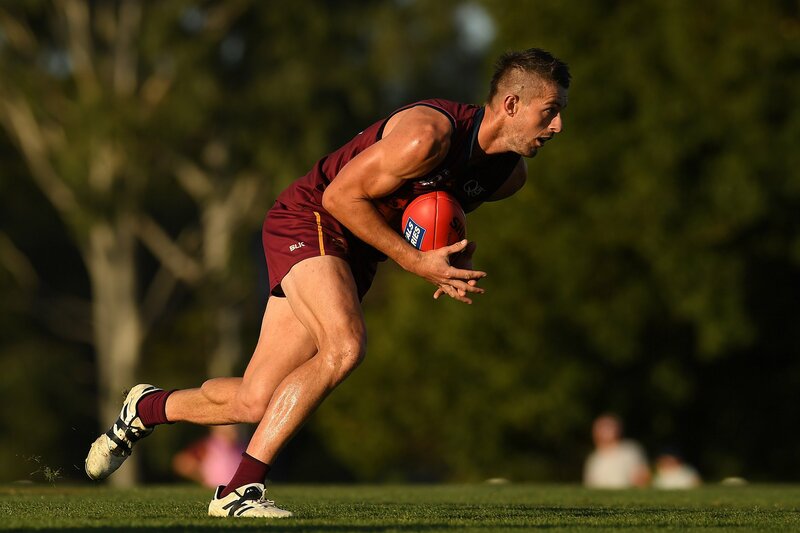 Ben Headland and Jarryd Douglas also delivered their usual solid performances. Looking forward to 2018 to see if the Lions can go back to back! Firstly, I would like to say thank you to everyone involved at the club for season 2017. It has been a trying year at times but one thing is for sure- we stuck together. At the conclusion of the 2016 season we were all left with a bad taste in our mouth after experiencing defeat in the grand final. Since that day continuing to grow as a club and attract the right people has been the focus. It’s fair to say that that goal was achieved. To have all that culminate in to one perfect day was very rewarding for the hard and relentless off field work our club has done. After going through the home and away season finishing second with an 11-5 record we were extremely confident that we could go one better and achieve something special. Throughout the year we were able to manage the players well to have them ready for the finals series. After a mid year slump the boys regained their focus and went about their business very professionally and prepared themselves well. The finals series was a very successful campaign with all 3 games being won and also winning 10/12 quarters was a dominant performance. It was never going to be an easy game and a fast and aggressive start was going to be the key to winning the grand final. Tyler Cornish, Jason Burge and Jacob Dawson set the scene at the opening bounce and it spread all over the ground. Dylan Troutman down back was pivotal early with his rebound run and when Cornish kicked the 1st goal a strong message had been delivered. Kicking into a strong breeze we managed to kick 4-5-29 to 2 behinds and effectively set up the game. Key defenders Jackson Emblem, Liam McNevin, Dirk Koenen were well on top and with Josh Woolley, Callum McBurnie and Jacob Herron providing the run the forwards were supplied with plenty of opportunities. The backs were so strong and willingness to help each other was defining. Composure and commitment to the contest was second to none. Through the middle there was such an even spread of workload which allowed everyone to play their role well. The selflessness in that area of the ground and tackling ferocity was something else. 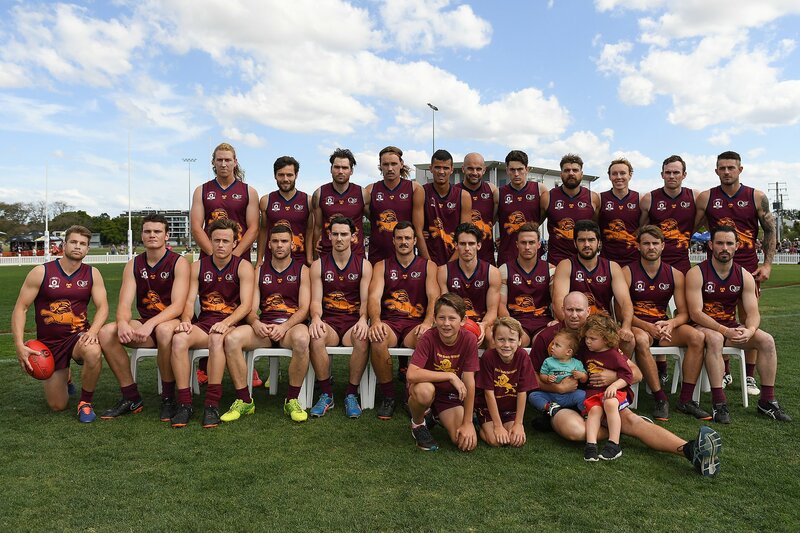 Jason Burge, Jesse Derrick, the Thynne brothers (Stephen and Tom), Lachlan Ritchie and 2 undersized rucks (Caleb Graham and Jed Harrison) were terrific in the hot conditions. It was always going to be our strength on the day but to execute it like they did was ruthless and very disciplined. Up front with plenty of supply the forwards worked hard to generate 34 shots on goal. Unfortunately we didn’t have our kicking boots on and kicked 14-20 for the game. At all stages we made their defenders nervous with real and perceived pressure that caused many turnovers and repeat stoppages which would ultimately result in scoring opportunities. Jarryd Douglas as always was strong and competed well. Antony Sercombe provided a big target and body, Ben Headland again did a superb job on Wayde Mills. The smaller forwards of Brad McDonald and John Macansh couldn’t be contained and worked hard defensively to set it up. A great unified effort in the forward line was the key. There can only be one medal winner though. Jake Dignan and this little fella is a beauty, the longer the game went the better he got. His clearance work and pressure was exceptional and his toughness is very underrated outside our 4 walls. To share that moment with his son on the stage with him I am sure he is a day he will never forget. As mentioned earlier thank you to everyone for all your hard work, dedication and the sacrifices you made. 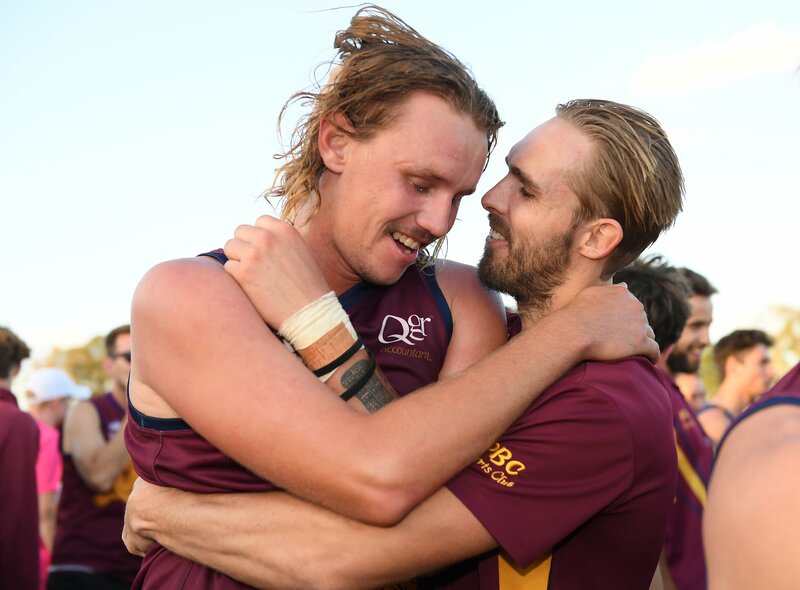 I can only hope that seeing the boys hold up the premiership cup and the smiles on everyones faces in the social rooms makes all of that worth it.